My first experiment with natural dye powder. So, this is coreopsis extract, I mixed 0.5 teaspoon of the dye powder with 250ml of boiling water, added a pinch of alum. Put the plain egg in when it was still slightly warm, because I was just too curious. As a result, rich gold, quite fast – maybe 15 min. or so. I used an old unemptied chicken egg, it was partially dried out due to sitting on a desk for a few months, had to weigh it down with a spoon so it doesn’t float. 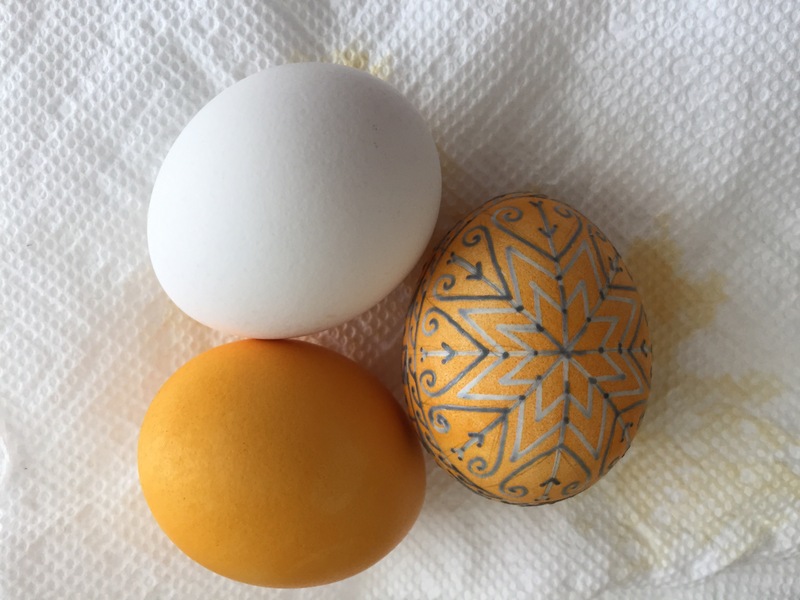 And here is the second egg dyed (the one with a pattern), this one took longer about half an hour, but is looking ok still. Oh yes, and I almost forgot, it smells beautifully of honey! 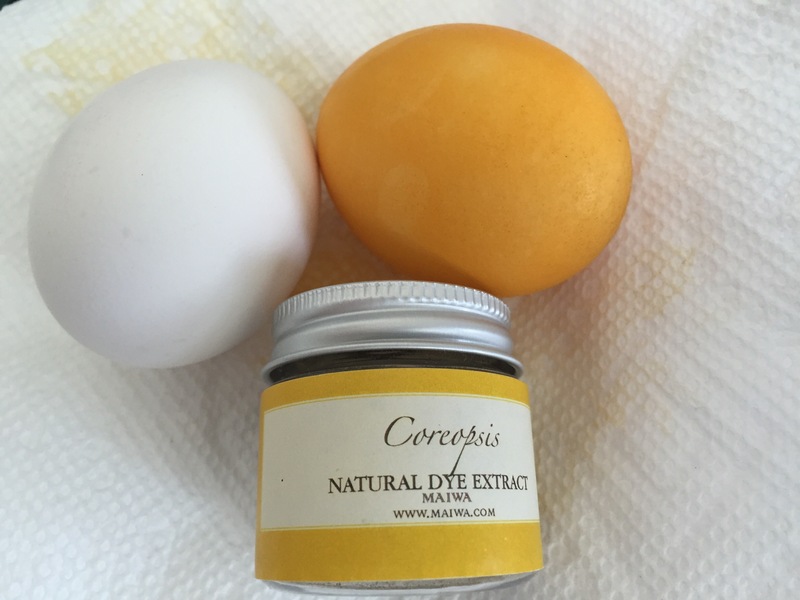 For more eggs dyes with coreopsis, see coreopsis tag. This entry was posted in gold, natural dye extracts, Natural dyes, Recipes, Sort by Color and tagged alum, chicken, coreopsis, maiwa. Bookmark the permalink. мені подобається! але хочу завершену побачити, яке буде тло?